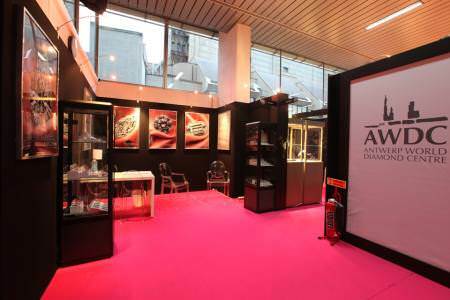 With the date of the fourth edition of the Antwerp Diamond Trade Fair set for January 27-29, 2013, the fair’s organizing committee has announced the number of exhibitors will grow to 70 from 60 last year, with more Antwerp diamond firms on the waiting list. The expansion of the fair will be facilitated by the Diamond Club of Antwerp which will open up a wing of its trading hall that had not been used at previous editions of the annual fair. Not only will there be more exhibitors, but the number of buyers and buyers’ groups, among others from North America, Asia and the Middle East, will also increase. ADTF organizing committee member Avi Pinchasi said he and his colleagues on the panel realized following the success of the third edition earlier this year that the ADTF is now not only an established event on the annual calendar of the diamond and jewellery industry, but also a reputable brand in itself. "While this is very good news, it is also an enormous responsibility and its continuation will require a lot of work and investment on the part of the ADTF’s organizing committee," Pinchasi noted. "In 2013, we will once again welcome new exhibitors to the fair, and bring the total number of booths to 70. As in 2011 and 2012, the trading halls of Antwerp’s two largest diamond exchanges, the Antwerp Diamond Bourse and the Diamond Club of Antwerp, will be turned into two exhibition halls, with more space allocated at the Club, where an exceptional selection of diamonds will be on display - and for sale," Pinchasi continued. 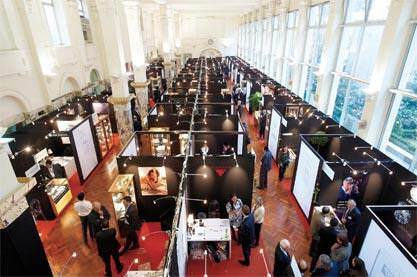 Pinchasi said that the growth of the exhibitors’ body would also allow ADTF to invite a larger number of selected diamond buyers, and the leading jewellery manufacturers, retailers and designers. "Following the successful participation of buyers’ groups from Turkey, Lebanon, Jordan, Saudi Arabia and other Middle Eastern countries in the 2012 fair, we’re investing considerable time and efforts to bring additional exclusive buyers’ groups from North America and Asia for the 2013 event," he concluded.